Establishing intravenous access is a critical intervention that takes skill and practice to become adequately proficient. However, there are several things that you can start doing today, that will instantly increase your IV success rate. Oftentimes, simply having a tourniquet placed on the patient is not enough to achieve the desired effect, which is to create dilation of the veins below the tourniquet. Your tourniquet needs to be tight, and release easily. Placing your tourniquet should be the first thing you do in your pre-stick routine, which will allow the veins to fill with blood as you prepare the rest of your equipment. In most cases, it is best to first attempt venipuncture at a distal point and work proximally, if needed. More chances = increased likelihood of IV success. This way, if extravasation occurs, you still have available sites above. Just because you intend to start an IV low on the hand, however, does not mean you should place your tourniquet on the patient’s wrist. This is silly, and a waste of time. Place the tourniquet high on the patient’s arm from the start. This way, if the site you were initially planning to puncture doesn’t look as promising as you thought, you can always move higher, without having to replace the tourniquet. In addition to applying good traction prior to puncture, site selection is key. If you can locate a vein that is naturally anchored, this is a major plus. One of the most solid places you can puncture is often where the two veins join to form one, also known as an anastomosis. To visualize this site, try to imagine an upside down “Y”. In this location, the vein is, in a way, applying some traction for you. More consistent traction greatly increases your chances of first stick success. Selecting the appropriate size catheter is not something that can really be taught, and is more of an acquired skill. Just always remember that a patent 24 gauge is 100% better than a missed 18 gauge. If you have doubts about the size you have selected fitting into the vein at your selected site, you have two options: select a new catheter, or select a new site. Don’t blow a perfectly good site trying to cram in a large catheter. Know the limitations of your equipment, and use your head. Just because we don’t really understand how gravity works, doesn’t mean we can’t use it to our advantage. Allow gravity to work in your favor by keeping the venipuncture site well below the patient’s heart. If you are planning to initiate access in the patient’s arm, this may mean allowing their arm to dangle off of the stretcher. Just be sure to keep the patient as comfortable as possible, to limit their urge to move around. If you foresee that venous cannulation will be difficult as you are applying your tourniquet, apply an instant hot pack or warm compress over the site you wish to access. By the time you have prepared all of your equipment, the heat applied will likely have caused some vasodilation, making cannulation easier. As if there weren’t already enough reasons to utilize good aseptic technique, here’s another. Thoroughly scrubbing the site you wish to access with alcohol prep pads will often cause a significant amount of vasodilation. The reason that this occurs is unknown to me, even after quite a bit of searching. I can tell you this, though, it works. And not only does it work, but it also decreases the likelihood of your patient developing an infection at the site. Thanks for reading! 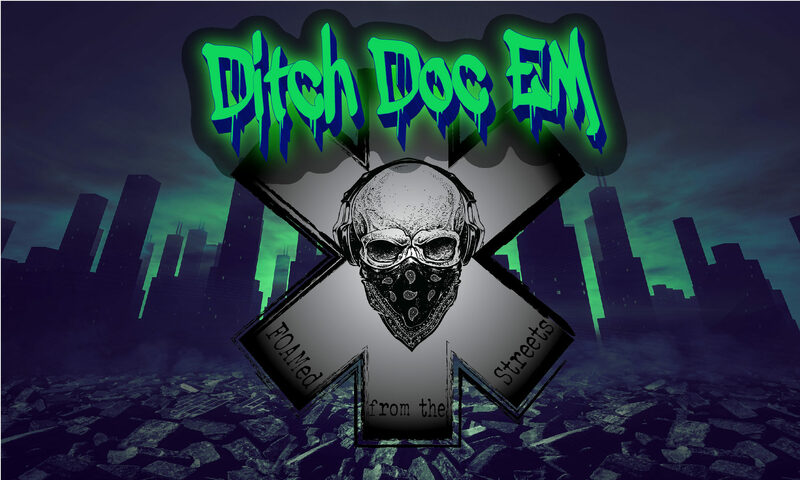 If you haven’t started following the site already, you can join the Ditch Doc EM crew here. You can also follow me on Twitter and Facebook for daily FOAMed updates! Also, please check out the new Ditch Doc EM Apparel, available only at ResusThreads.com. Your purchase will help support the site AND have you in style all summer long! Thanks again for reading, and until next time, be safe and treat aggressively. Next PostNext No Hands CPR in 2020?